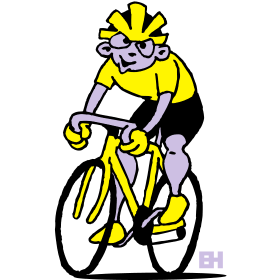 Three colored illustration of a racing cyclist. Ideal for all Tour de France, Giro and Vuelta enthusiasts. Order this illustration printed on custom T-Shirts, hoodies and all kind of other gifts.